VIRGINIA BEACH, Va. (November 30, 2017) – According to a new AAA survey, an estimated 20 million Americans who purchased a real Christmas tree in the last three years did not properly secure it to their vehicle, risking serious vehicle damage and dangerous road debris. Vehicle damage that results from an improperly secured Christmas tree, such as scratched paint, torn door seals and distorted window frames, could cost up to $1,500 to repair. In addition to vehicle damage, Christmas trees that are not properly secured are a safety hazard for other drivers. 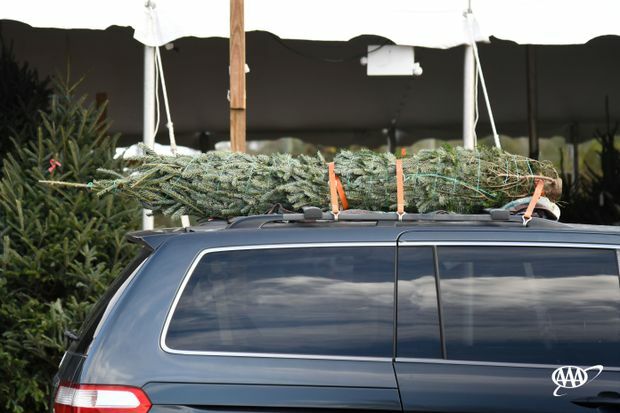 AAA urges all drivers to transport their Christmas trees safely this holiday season. Protect the tree. Have the tree wrapped in netting before loading it.